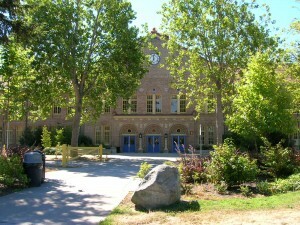 The West Seattle High School Alumni Association started in 1957. Our mission is to foster the welfare and preserve the history of West Seattle High School. The alumni Association also exists to fund educational Scholarships for the benefit of recent graduates of Westside High, as the locals call it. The Association has morphed throughout the years to include the establishment of the Hall of Fame to recognize some of the outstanding Alumni who have achieved success in many fields of endeavor. Click here to check out the West Seattle High School Alumni Facebook site! Join in conversations, add photos, and help us grow our alumni network! Our Alumni Association, which is recognized as one of the largest in the United States, hosts an annual All School Reunion now held at the school on the first SATURDAY of June (previously the first Friday of June). Alumni come from near and far to get the chance to get together with fellow classmates and friends. The class which is holding its 50th Reunion is recognized in a program which also includes the induction of deserving classmates into our Hall of Fame which proudly acknowledges some of our most outstanding alumni. Scholarships are also awarded to current students who show a passion for learning and who wish to pursue their dreams of a higher education but encounter financial obstacles. Our mission has endured throughout the years thanks to the help of dedicated volunteer Alumni…those who are concerned and passionate about keeping our “family” together and the outstanding tradition of our beloved West Seattle High School rolling along through one generation after another.